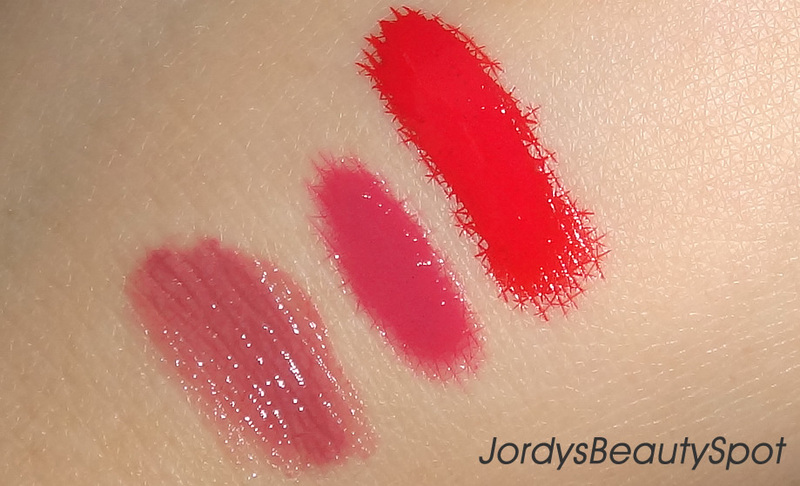 In this article, I am taking a look at the Australis Pout Paste and the Sportsgirl Lip Paint in comparison to the much loved OCC Lip Tar. Since OCC is a brand that is quite expensive and not accessible to us Aussies, the aim is to see if the Australis or Sportsgirl products compare and would be a cheaper and more accessible dupe. Above is a graph that I created to easily compare each of the three products against each other using a set of criteria. 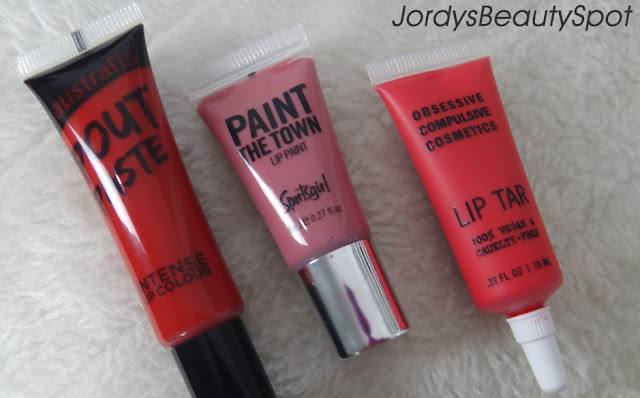 Price: The Sportsgirl Lip Paint is a much better deal in comparison to the other 2 because you get more for your money. Something to note is that the Australis Pout Paste is similarly priced to the OCC Lip Tar. Quantity: I couldn't find anywhere how much product is contained in the Australis product but it does appear to be more than the others. The Sportsgirl and OCC Lip Tars are similar in quantity, the Sportsgirl product containing only 2ml less than the OCC. Range: The Australis Pout Pastes come in 2 different colours, all very bright and not that wearable. Sportsgirl has a range of 4 different colours,a mixture of both bright and wearable shades. OCC on the other hand has an incredible range of over 45 colours to choose from providing many options. Scent: This criteria comes down to personal preference but all three smell great. Consistency: Now this is the main factor that differentiates the Australis and Sportsgirl products with the OCC Lip Tar. This is because the OCC product has a very smooth and thin consistency while the other two and quite sticky and thick; creating a huge difference between the OCC product and the drugstore versions. Pigmentation: Both the Australis and Sportsgirl products are very pigmented while the OCC Lip Tar is only slightly a bit more opaque. Purchasing: Australis is obviously the most accessible, being stocked at places like Priceline, Target, Kmart and more while Sportsgirl is only available at Sportsgirl and OCC at IMATS, online and selected boutiques. Application: The Australis Pout Paste is actually the only product out of the three that you can directly apply to your lips using the doe foot applicator included. The Sportsgirl Lip Paint is a squeeze tube so a brush is required for application similarly to the OCC Lip Tar. A lot of it comes down to personal preference though so it depends what type of scent, consistency and application you like. I really love how all three lip products are completely cruelty free and do not test on animals. Overall, I don't think that either of the other two lip products are as good as the OCC Lip Tar but if I had to pick one, I would choose the Sportsgirl Lip Paint because it's really good value for money and is still a lovely lip product. Watch the video comparing these three products! I want to try those lip tars! Nice three colors. I like to use these. You always try to publish useful tips for ladies. Great comparison! I really love OCC lip tars, they're so amazing!